First time poster, and wanted to say hello and see if I could maybe get a bit of info. on my grandfather's old pocket watch. He arrived here in New York City from Belarus in 1922. Like many immigrants, he worked for years, went to school, got married, raised a family, and worked his way up. 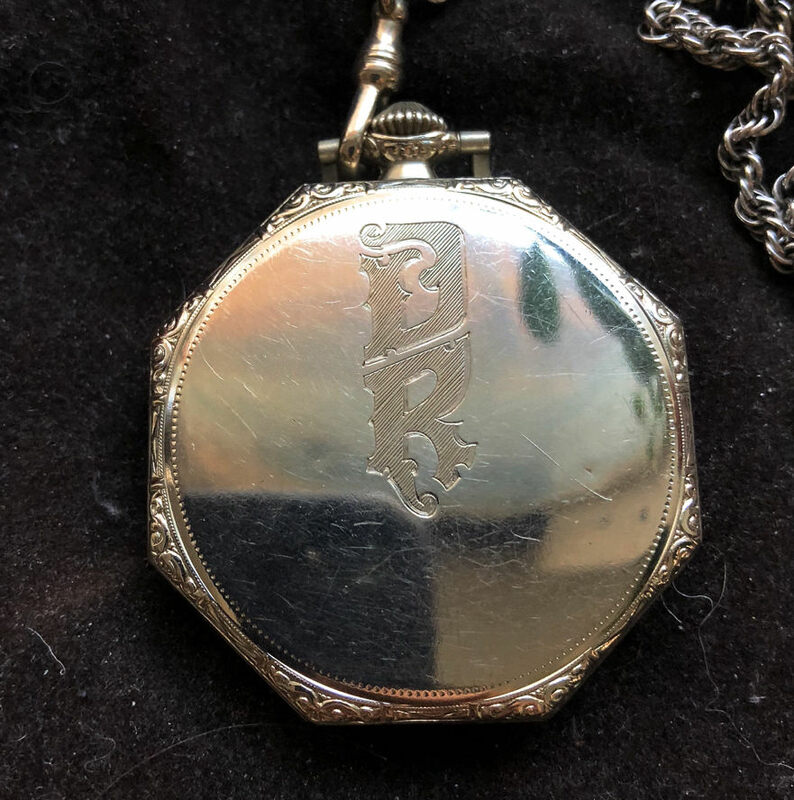 Along the way, he purchased for himself a pocket watch, which is engraved with his initials on the back. He was never a showy guy, so it goes without say this was the flashiest thing he owned! 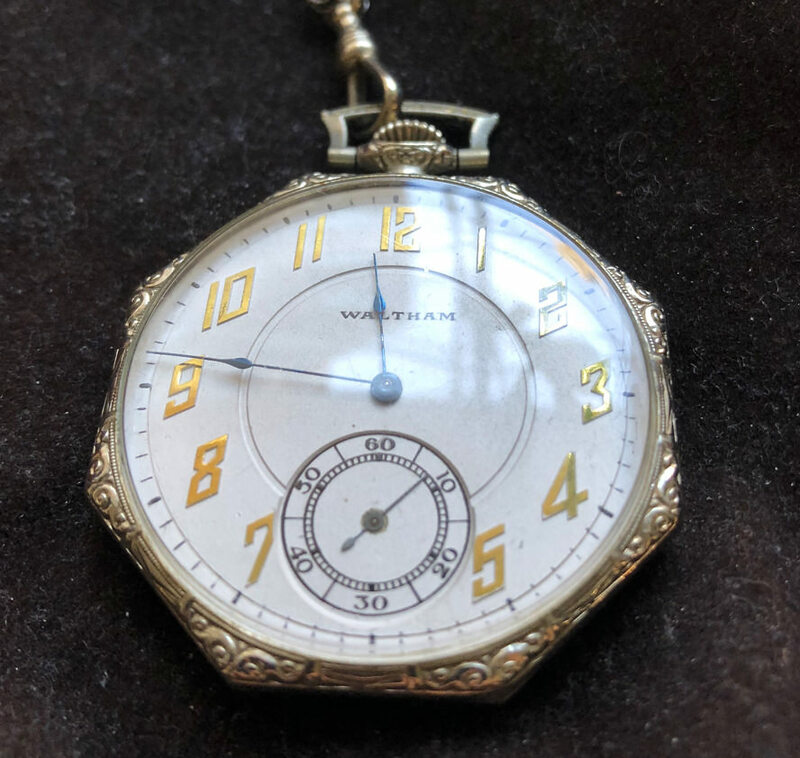 After he passed away, in 1978, my father was given the watch by my dad's mother, and in turn, when my dad passed away a few years ago, it wound up in my hands. I've been a watch-collector for a number of years now, but, specifically, vintage Rolex references from the 60s and 70s. I've tried to do some research on the pocket watch, but it was difficult pinpointing the period. Making it more difficult is that I have no documentation from when my grandfather purchased it, or from where/whom. Any help or guidance is greatly appreciated. And a huge thanks in advance! Thanks so much! Was able to determine a good amount of info. yes, that site has great information. 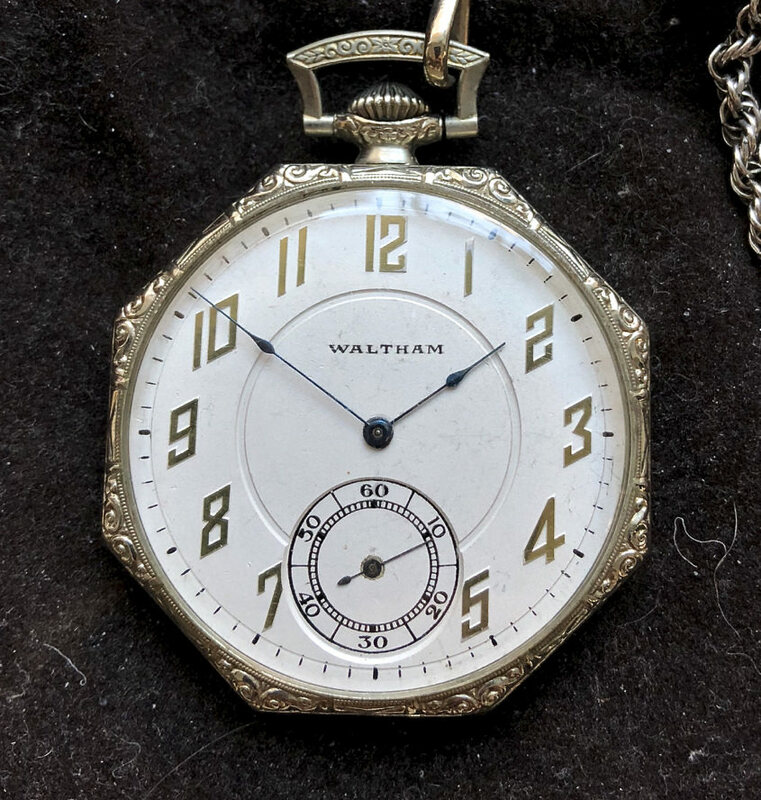 Here is my grandfather's pocket watch, it is one of the main reason I got into this hobby. The story as told to me by my mother was that my grandfather bought the watch to show he had done well here in the USA. What better way than to buy a 14K "American Made" watch. Grazie nonno! That's terrific! I think that pride of succeeding in one's new world has no doubt been seen in many timepieces over the years. The simplicity and beauty of such a fine instrument, and one that is so small, is as perfect as it gets for passing down through the generations to come.